Happy Monday all. The best day of the week because it’s time for COTW! This week’s cases come from none other than the Donald (aka the POCUS POTUS) who was late for his meeting with the Queen acquiring these great scans. 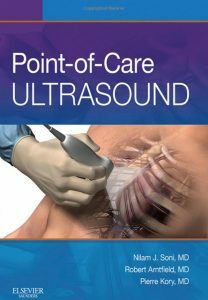 So blow past them old ladies to get a front row seat, it’s POCUS time! Our COTW features a tough challenge for POTUS and POCUS alike: distinguishing between your friends and enemies (the Canadians are coming! the Canadians are coming!). A 72 year old female has a history of Myelofibrosis for which she underwent splenectomy 2 months prior to presentation. Now she is very septic with Staphylococcus aureus growing her blood. Can you figure out which of these structures has her feeling less than golden. It’s the good, the bad and the ugly of the left upper quadrant. 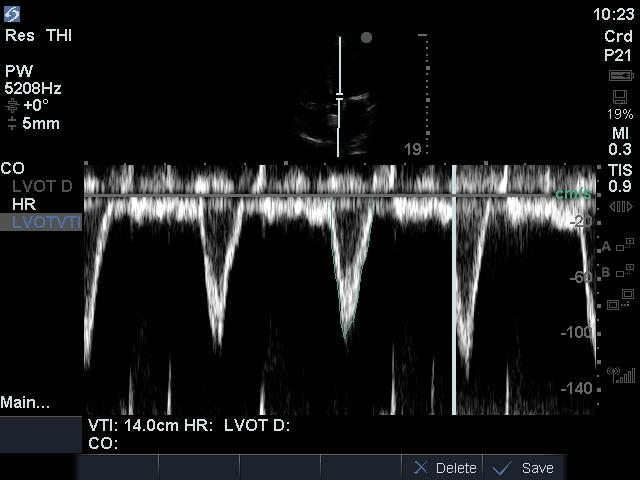 Her LVOT D is 2cm and her HR 110bpm. Open and shut shock case right? Then why am I acting so CuriOus? 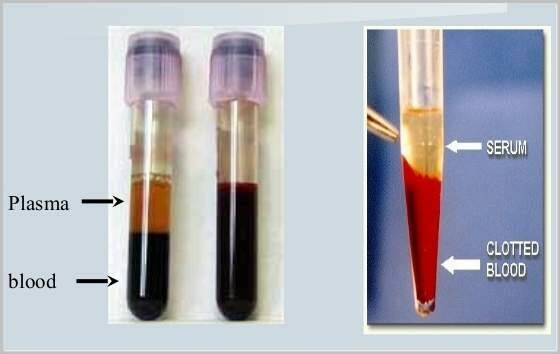 The bottom image shows blood that has now completely clotted which can be difficult to discern from other normal soft tissues. The fluidic movement in the near field as well as the absence of blood flow (with color doppler) within help confirm this. 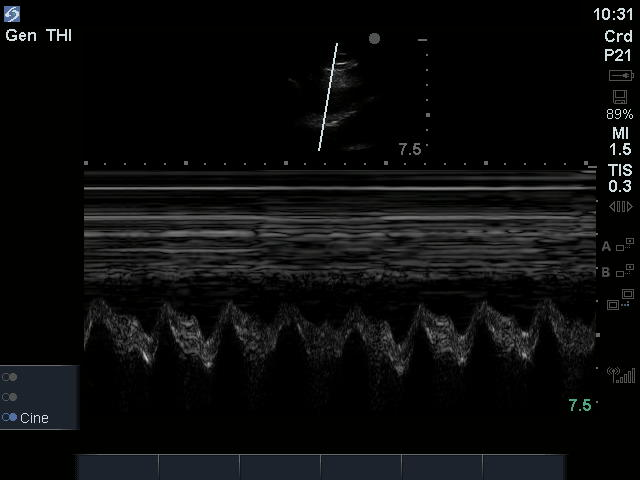 The sign that is being shown in the near field of the clip is diastolic collapse of the RV (that’s the little shoulder we see during diastolic filling of the RV in the near field of the M-mode image). – Significant respiratory variation of LVOT peak velocity (decrease by >10% during inspiration) and RVOT peak velocity (decrease by >10% during inspiration), both in negative pressure breathers. This is essentially the same as pulsus paradoxus. – Notice I didn’t mention size as it is the rate of accumulation more than the amount of fluid that dictates whether tamponade will happen or not (but if the effusion is really small, you should be considering other things as well). Cardiac tamponade remains a clinical diagnosis and a relative state. This patient’s opiate dose induced a state of venodilation which tipped her into clinical tamponade which improved with fluid loading. The cut-off where pericardiocentesis is required is a judgement call but generally will be when the risk of the procedure are justified by the benefits (relief of severe symptoms or end-organ hypo perfusion). Remember the POCUS mantra, You are the clinical correlation! The patient went on to slowly improve with conservative management. If you’re still thirsty for some tamponade teachings, see the aTTached arTicle.